Paper drills make quick work of putting holes in large stacks of paper. 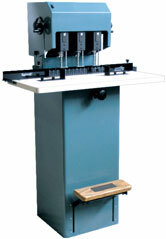 Select from tabletop and floor standing drills with single or multiple spindles. 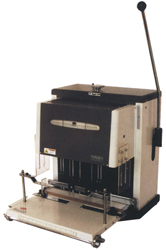 The FB1 B (FP-1B) has a paper punching capacity of 300 sheets of 20 lb. paper. 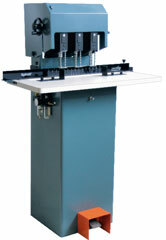 It is ideal for punching paper, laminate, and plastics. 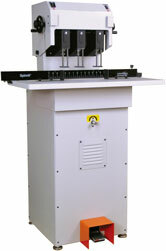 Punch capacity is limited when punching laminate or plastics. Punch bits range in size from 1/8" to 5/16". 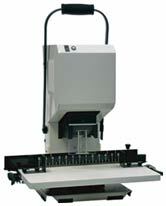 The FP 1XLS Heavy Duty Hole Punch will punch up to 300 sheets of 20 lb. paper with a pull of a handle. We have tested this paper punch and it is great for punching through paper with ease. The handle pulls down easily and it punches paper up to 1 inch thick. The ease and convenience of this hole punch makes operation worry free. The Lassco EBM-S drill features a drill capacity of 2" with up to 12 available drill bits. It is operated by a hand lever allowing for quick and easy use. The backgauge and side guides are both adjustable. Just press the table release lever and easily slide the paper to the next stop. Unique safety designed motor is only in operation when drill handle is lowered. 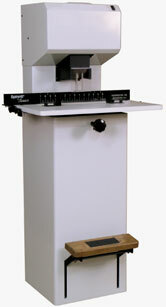 The FP60 LS high capacity table top paper drill drills up to 2-1/2" of paper. 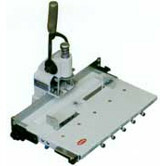 This LS Model offers quick switching of standard hole patterns with use of a preset bar. Uses the industry standard 2 1/2" Type A Drill Bits. 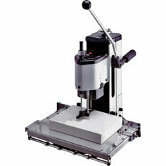 The FP-IVT is a table top 3 spindle drill with a drilling capacity of up to 2 1/2". The center head is fixed and the outer two heads are adjustable from 2 1/4" to 4 3/4". The Lassco Spinnit FM-2 Paper Drill can drill up to 2" of paper easily with a single spindle drill. It's features add great productivity and efficiency to your paper drilling projects. 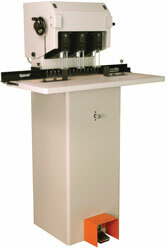 The Lassco Spinnit FMM-3 Three Spindle Paper Drill can drill up to 2" of paper. 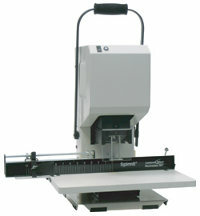 The Lassco Spinnit FMMP-3 Three Spindle Paper Drill is air powered and can drill up to 2" of paper. 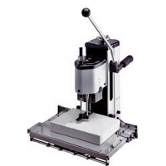 With its 2" Drilling Capacity, Powerful hydraulic lift with easy foot pedal activation the FMMH3 paper drill is great for maximum production coupled with easy of use. The Lassco Spinnit FMMH 3.1 Fully Automatic Hydraulic Three Spindle Paper Drill is easy to use and is built for maximum production performance. 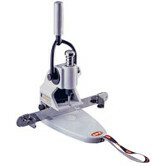 It can drill up to 2.5" with the simple press of the foot pedal. The FMMH 3.1 is full of features to make your paper drilling projects fast and easy.